Mid-November has traditionally led to various hardware releases designed to capture gamers' attention just in time for the winter holidays. This week in gaming history, November 9 through November 15, we take a look at a few console releases in addition to following up on one game that just barely missed the cut-off for last week's column, Halo 2. Seven years ago, the Xbox was released in North America, representing Microsoft's formal entry into the console market. A year later, Xbox Live was launched. The aggressive approach Microsoft took to get users online and playing paid off; earlier this year the company announced the number of "Gold" level subscribers had it the 10 million mark. 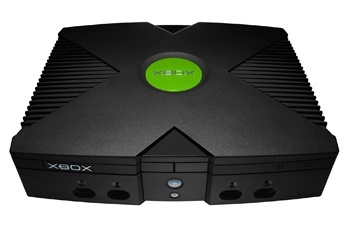 The original Xbox console sold just under 25 million units worldwide before being retired in 2006, almost a year after the introduction of the Xbox 360. Around the same time, Sony released the PlayStation 3 in Japan on November 11, 2006, resulting in what one game site efficiently dubbed "organized chaos" with thousands of gamers all ready to take a chance at scoring one of the limited 100,000 units available on launch day. Popular Xbox title Halo 2 hit the scene on November 9, 2004 with a compelling marketing campaign and alternate reality game "I Love Bees." The New York Times reported that Halo 2's marketing budget reached "tens of millions of dollars", which paled in comparison to the 2.4 million units sold within the first 24 hours of release in the North American market. With Halo 2 pushing sales to the $125 million mark so swiftly, the press had a field day with comparisons to opening day totals of popular movies of the time, including sequels in the Harry Potter, Spiderman, and Matrix franchises. Other games would unseat Halo 2's dominance of the record charts in years to come, but for a while, Halo 2 was the king, and currently remains the best-selling entry in the trilogy, with estimated sales of 8.46 million to Halo 3's 8.37 million. Steering away from the popular and well-trodden path in 2005 was the handheld GP2X console created by GamePark Holdings. The GP2X is a Linux-based game console and media player designed by the same team that created the GP32; both devices are being popular among emulation and homebrew developers and devotees. As of September 2008, this obscure little device sold 60,000 units before being discontinued, earning it a mildly devoted following. It also efficiently paved the way for the upcoming release of the Wiz console from the same developers. Come back next week to find out which game had a run in with the Boston Transit Police back in 2006. Researcher Nova Barlow is debating the possibility of adding a PlayStation 3 to her console collection before the end of the year, but is still undecided at the time of this writing.